The value of data increases with size: the more data you have, the more your dataset is worth. But, personally, I’ve always been fascinated with tiny data – the stuff that is perhaps more collection than dataset, more anecdote than evidence. Last year I stumbled upon some tiny data. On my late grandmother’s desk, right beside her Bernina sewing machine, stood a small basket with 24 diaries. 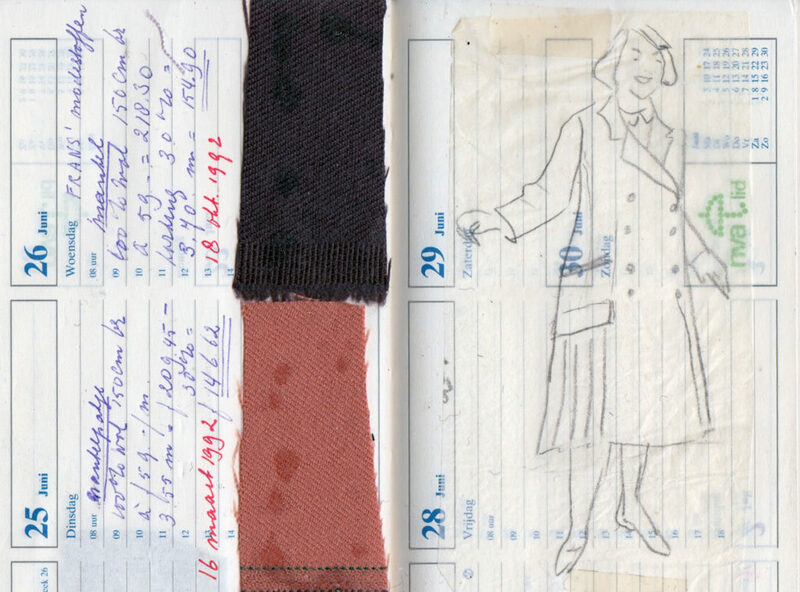 In these diaries she documented her fabric purchases from 1985 until 2009. Some pages also contain a sketch of the envisioned item of clothing, typically a coat or suit made from a Vogue pattern. 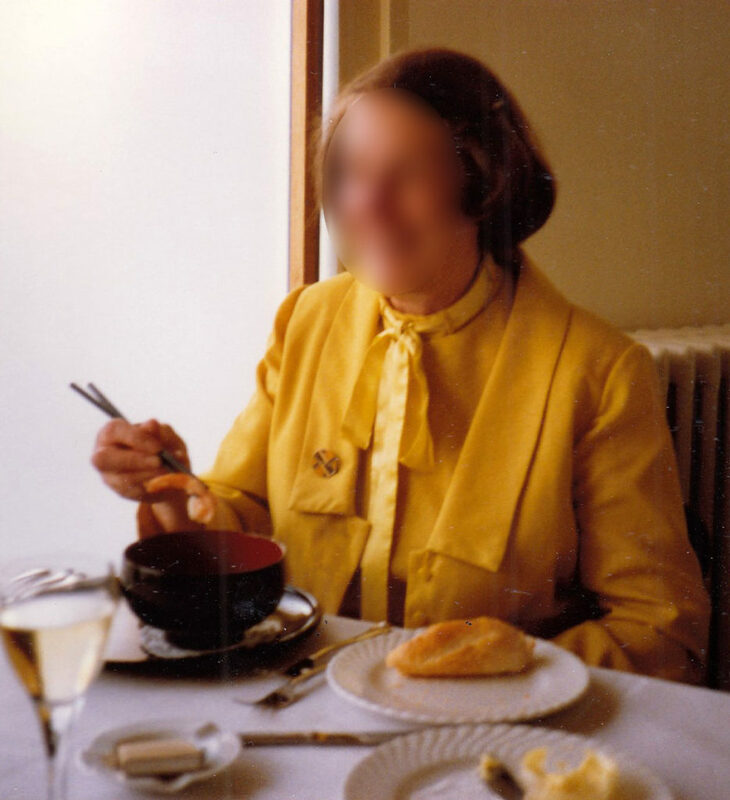 In total there are several hundred entries, from skirts to blouses and from dresses to bows (no blouse was ever complete without either a bow or a brooch, ideally both). 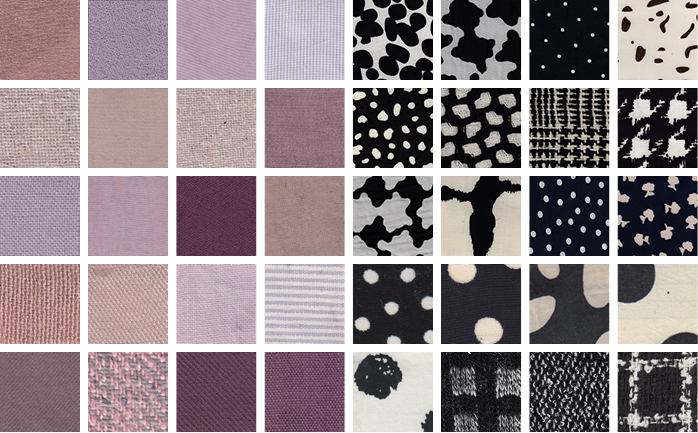 The data allows me to calculate things like average fabric sizes (mostly between 1 and 3 meters) and to visualise fabric preferences over time (taupe and black and white patterns). Each datapoint describes something unique: a special occasion (that dress for that wedding), a little mistake (having to buy extra fabric), an adventure (a trip to Cotswold Woollen Weavers). Several purchases are also bittersweet: sales that marked the closure of yet another fabric shop. While the world around her became increasingly reliant on off-the-peg clothing purchases (“confection clothing”), she remained committed to high-grade fabrics and handmade designs – even if it meant having to travel further and further to obtain these materials. My grandmother’s dedication to quality is evidenced by the many creations that have now outlived her – ready to be worn by someone else for decades to come. Taken together, these diary entries tell a story about craftsmanship. And the value of tiny data.